‘We’re Going on an Egg Hunt’ is a lovely springtime treat of a book for adults and young children to share. It’s beautifully illustrated lift-the-flap pages have plenty to hold interest. Based on the ‘We’re Going on a Bear Hunt’ rhyme, this simple read-aloud story is one that children will love. The Easter Bunnies are REALLY excited! 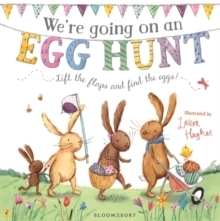 Join them as they set off on their egg hunt, lifting the flaps and counting the eggs along the way. Who will they meet on their adventure? Can you help them find all the eggs? And will they get safely home in time for tea? It’s proving very popular and we have copies in the bookshop now. Available as either a board book or picture paperback at £6.99. This book was written as a work of fiction but is very closely linked to Morven-May’s own struggle with the devastating Lyme Disease. 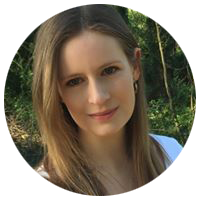 Morven-May takes the reader on a harrowing journey of the young character Joyce. Joyce very quickly transforms from being an energetic teenager to a recluse. Some days she cannot get out of bed or carry out the basics of everyday life e.g. brushing her hair. Doctors don’t listen to Joyce or her carer Aunt Beth. Generally the doctors and people who know her do not believe the physical and mental agony Joyce is going through. However, one day, she is listened to and life starts to change for her by bringing some light into her now very dark life. Like her character Joyce, Morven-May missed most of her secondary education which, in my opinion, makes it remarkable that she was able to pen a novel of such quality. ‘Finding Joy’ gives the reader a shocking insight into what it is like for many sufferers of Lyme Disease. 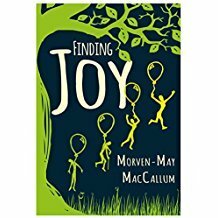 When Morven-May approached me about her book ‘Finding Joy’, I was immediately drawn to her. She was quietly spoken and I found myself listening intently to what she had to say. I knew immediately I wanted to invite her to speak at the shop about her novel and Lyme Disease. We had an excellent turn out for her. Again, although quietly spoken, she could be heard quite clearly and she had the undivided attention of the audience. Morven-May’s talk was informative and well presented. She took several questions from the audience which she answered and sometimes became discussion points. A very competent and well received speaker.